Crafting an identity is one of the most intimidating things for new business owners. With so many cheap, fly-by-night websites offering fast and easy (and often plagiarized) logos, why work with a designer? Because in the end, you get what you pay for, and the identity of your business, which is the first thing potential customers see, is not the place to skimp – your logo is the first foundational brick in the overall image of your business and it needs to be strong and capable. I take pride in asking the right questions to create the perfect logo that communicates all the right things, and then taking that newly created brand and building a sturdy, functional, and eye-catching identity system around it. Prestige Transportation, LLC is a Kansas City-based company offering reliable and accessible high-end transportation services. The client wanted to first and foremost communicate class, so I designed this balancing the modern with the traditional, to be really graphic but still elegant. The business cards were printed on extra thick uncoated black stock with a beautiful mirror-shiny silver foil on the logo side. This logo was created for the International Association of Assessing Officers's 2018 conference. The client wanted the logo to reflect a camping/wilderness inspired by Minneapolis's "City by Nature" slogan. The city skyline rises from a map to illustrate the theme of the conference, and the client requested a self-contained logo so I used this emblematic style. I also did a complementary PowerPoint template for use in presentations at the conference. This logo was created for the Veterinary Nurse Initiative, which seeks to create a national "Registered Veterinary Nurse" credential to replace the various different Veterinary Technician credentials used throughout the country. The new title also codifies the unique role these professionals play in a veterinary practice. To that end, I designed this logo to invoke the professional partnership that leads to better outcomes for patients. The red cross represents the foundational role Veterinary Nurses play and the teal cross is the Veterinarian. The patient is protected between the two of them, and the two crosses create a stairstep up, symbolizing success. The design is crisp, clean, and professional and will help support the National Association of Veterinary Technicians as they pursue legislation to nationalize the Veterinary Nurse credential. To learn more about this Initiative here. Prairie Pediatric Dentistry is a Lenexa, KS-based dental office serving children from ages 1 to 18. The client requested something clean and professional looking and was attracted to designs with curved lines. I created this custom wheat illustration in a style that invoked a child's drawing, and selected an easy-to-read, yet approachable font to create a welcoming feel to the identity. The blue, green, and gold color scheme were applied throuough the other materials, and I used the wheat illustration as an additional design detail on the referral pad. This logo was created for a group called Jews for Animals, an initiative from The Shamayim V'Aretz Institute. This organization focuses on the humane and ethical treatment of farm animals. They wanted a design that was clean and simple, so I created custom animal illustrations and then placed them within a circle that mimics the design of their existing logo, so that they can work harmoniously together. There are both horizontal and stacked versions of the logo for different applications. Bushyhead, LLC, Attorneys & Advisors is a small law firm based in Lee's Summit, MO. Because the firm has a focus on real estate law (their tagline is "Building Community"), I designed an abstracted, geometric city skyline paired with a slender, modern wordmark. The owner's favorite color is purple so I balanced that out with a nice grayish taupe tone to be colorful but still professional. The attorneys of Nasteff & Quinn, who had previously been members of a different firm together, wanted something that was similar in style from their old firm's logo but that still stood on its own. I designed the mark to feel strong and grounded, but with an approachable, traditional ampersand to pull the initials together. The traditional but approachable serif font builds on the messages communicated by the mark. The three-color scheme feels modern but is also slightly muted and grounded, with the blue complementing the maroon and green nicely. I designed complementary business cards and letterhead to round out the identity. Ready Confetti is a business that throws custom parties and handles all the planning, decorating, cleanup, etc for clients. The client asked for something fun and bright but that also communicated the organization it takes to make parties a success. Once the logo was locked in, I designed complementary business cards, table signs, and two employee t-shirts. Little Pumpkins, LLC, a company specializing in organic baby foods, came to me needing a clean and modern logo that still invoked the fun of babies. I illustrated this little guy and picked a fun bright green, orange, and brown color scheme. In addition to the logo I designed business cards, food labels, postcards, table signage, and a website. Kodi's Cakes is a small custom cakes business. The client wanted something clean and sophisticated while invoking the charm of an old-fashioned bakery, and I think this logo succeeds, while reflecting the personal style of the bakery's owner. I also designed a business card and a really fun website for this client. James Walker came to me requesting a "hip" logo that he could proudly display on the door of his new offices, located in a downtown building adjoining the Screenland Theatre. This logo and accompanying business card and letterhead was the result - clean and modern, but not overblown. Sometimes, a client has a logo they like but it wasn't well executed. KC Restoration, LLC hired me to take their existing logo, which was overly complex and difficult to read at small sizes, and clean it up. The new version is brighter and crisper, and is much easier to use in a variety of applications. 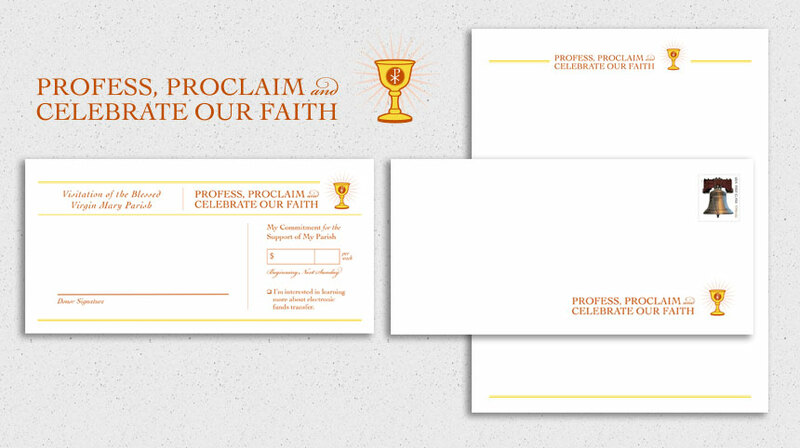 I then designed complementary business cards, letterhead, and collateral to utilize the new look across all pieces. Brazill's on Main is an upscale casual restaurant located in a conservative county of New York. The interior is a really lovely brick, so I used that as a jumping-off point, pairing it with a saturated black. The serif font of "Brazill's" is conservative, but the script of "On Main" balances it out with an easy casual vibe. The menus are professionally printed but the beer lists and other items have been designed with a white border for easy in-house printing. This identity was created for Cavan Corporation, a company specializing in customized parish fundraiser programs for Catholic dioceses. They came to me with the name and I started with the logo, and then created the letterhead, envelope, and pledge card from there. This series of logos was designed for a client who organizes conventions for model train and garden railway aficionados. Each is a nice distillation of the locale rendered in a clean, graphic illustrative style. This serious of logos is for a wide range of businesses - an interior design firm, a custom embroidery business, and an apartment complex - but they all are great examples of a clean, somewhat feminine logo style. This serious of logos is for a wide range of businesses - a freelance administration specialist, a home-cooking teacher, a sports consultant, and a career-coaching service - but they all represent a very graphic, clean style. This serious of logos is for a wide range of businesses - a military gear website, a pet supply website, a vintage goods shop, and a business club - but they all represent my graphic, clean logo design aesthetic.